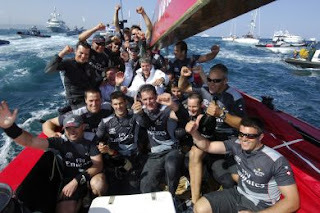 There’s much excitement in kiwi land as Team New Zealand swept to victory in the Louis Vuitton Cup. 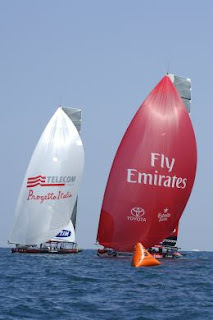 It’s hard not to imagine the big prize coming home and we don’t want to tempt fate so perhaps it might be better to just wear the lucky teashirt and hope that the boys don’t have any off days on the water whilst battling against their arch rival Alinghi. Team NZ looking pretty chuffed with themselves! 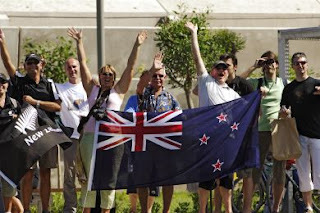 Kiwi supporters looking pretty chuffed too!